Farming land in New South Wales (Shutterstock). ‘Still glides the stream, and shall for ever glide’, 1890. 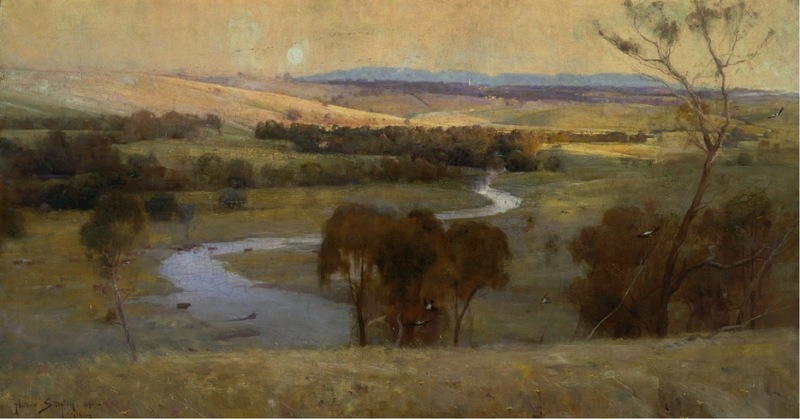 Arthur Streeton. The Art Gallery of NSW describes the painting as ‘an idealised vision of the Yarra River at Heidelberg, with the Doncaster Tower in the middle distance and the Dandenong Ranges beyond’.